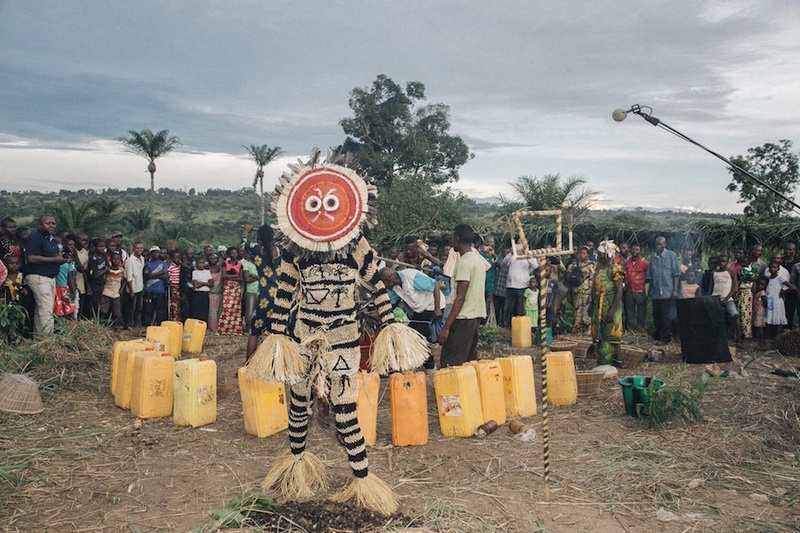 Lusanga is a remote town 650 kilometers southeast of the DRC’s capital. It was established in 1911 as Leverville, a Dutch concession to the British Lever Brothers company for a forced labor palm oil plantation. By the 1930s, with 67,800 square kilometers of plantations in the Congo, Lever Brothers became Unilever, a modern multinational corporation. 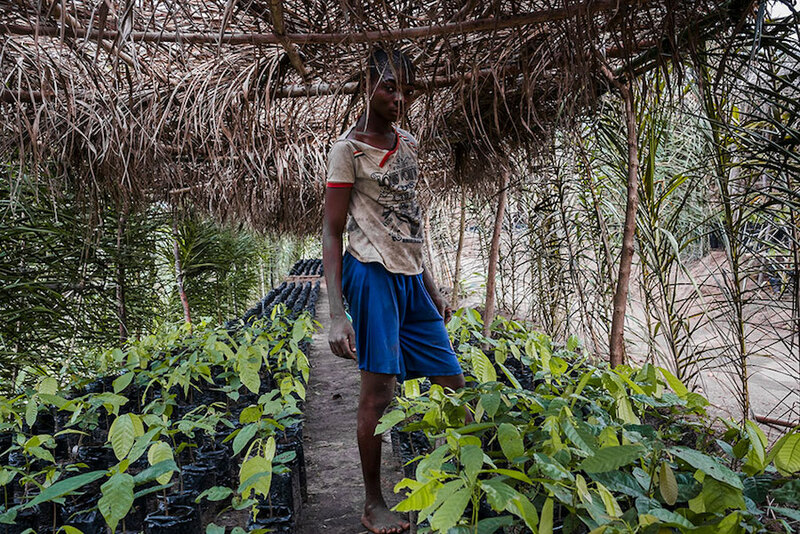 After decades of exploitation, and after two civil wars in the DRC, Unilever ended operations in the region and left an economic vacuum where families live on less than a dollar per day laboring on cacao plantations. The profits from this kind of capitalism funded the philanthropy of the Lever Brothers and later Unilever, which most notably supported a series of major commissions (including Ai Weiwei, Anish Kapoor, and Ólafur Elíasson) for the Tate Modern. Corporate wealth was extracted from plantations, with the exploitation of human labor, and packaged as philanthropy for the cultivation of arts and culture somewhere else. 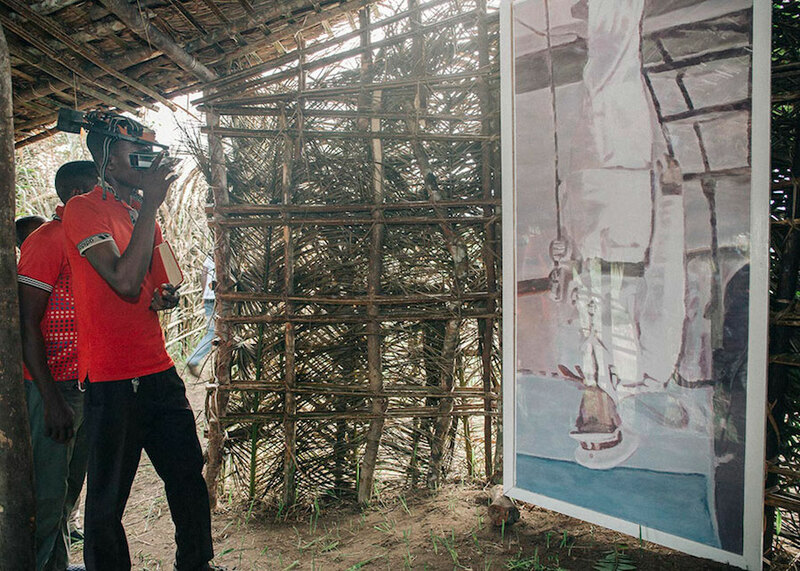 The new art center in Lusanga is a joint initiative of the Amsterdam-based Institute for Human Activities (IHA) and the Cercle d’Art des Travailleurs De Plantation Congolaise (the Congolese Plantation Workers Art League, or CATPC). 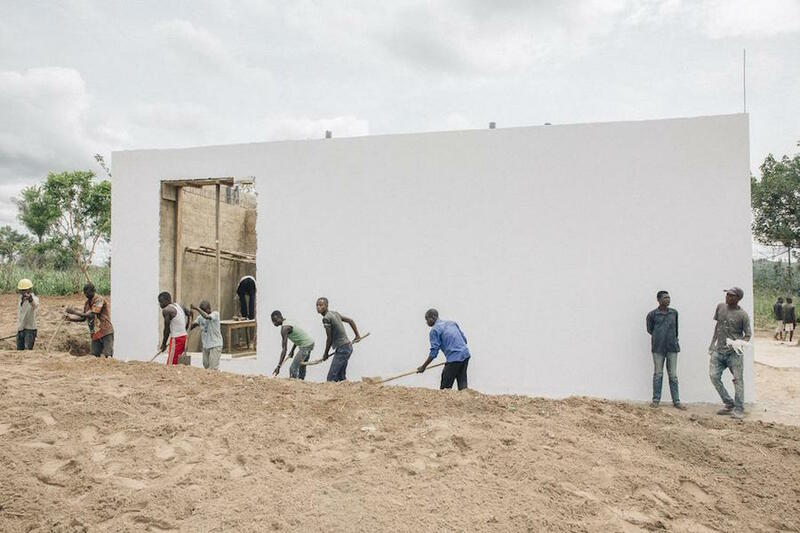 Called the Lusanga International Research Centre for Art and Economic Inequality (LIRCAEI), the new white cube in the Congo aims to develop opportunities for plantation workers to buy back their own land and to establish a post-colonial economy. 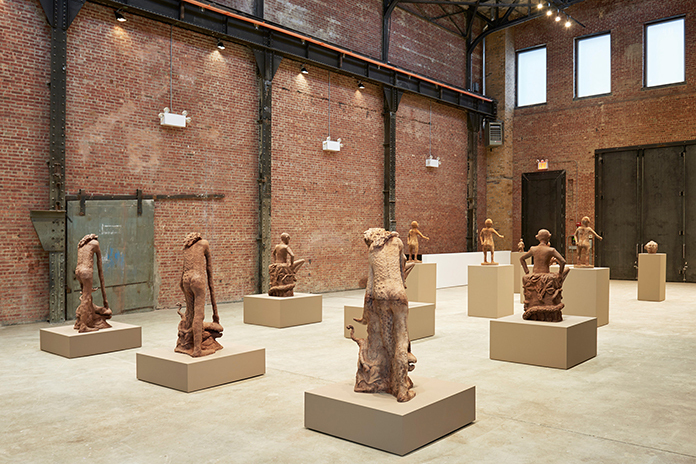 The opening of LIRCAEI followed an exhibition of works by CATPC at SculptureCenter in New York of sculptures cast in raw cacao, though none of the artists had ever tasted the chocolate that multinational corporations manufacture from their plantations. 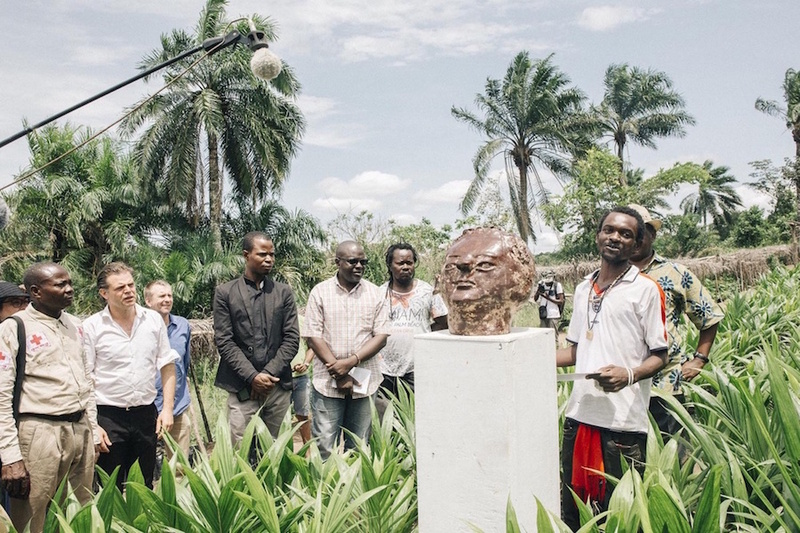 From previous exhibitions in Germany, England, and the Netherlands, and on IHA’s website, editions of the sculptures have been sold to support CATPC artists and to purchase land for community-owned fruit, palm, and cacao farms, which should subsequently fund more local economic development. On the site of the former Unilever plantation, the new LIRCAEI building was designed by the Office for Metropolitan Architecture (OMA), the renowned Dutch architectural firm founded by Rem Koolhaas. 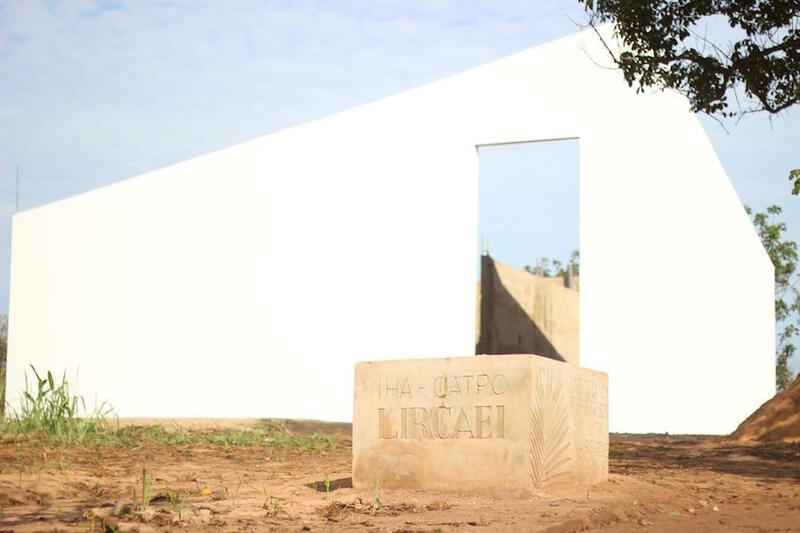 Its inaugural exhibition, The Repatriation of the White Cube, featured cacao sculptures and works in other media by CATPC, and works by international artists including Marlene Dumas, Luc Tuymans, and Carsten Höller, interestingly, a previous recipient of the Unilever Series commission. LIRCAEI’s opening marks the beginning of a five-year program to acquire land and create a sustainable economic model throughout the Congo. 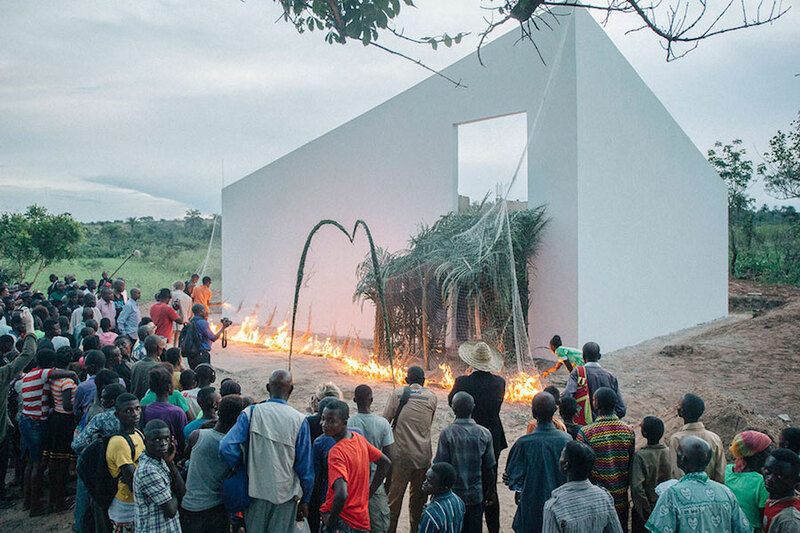 If institutional critique exposes exploitation and reverses cultural appropriation, it might initiate some form of gentrification with artistic production, modern architecture, and the attention of the international art world supporting the development of a post-plantation economy. Learn more at Institute for Human Activities, Cercle d’Art des Travailleurs De Plantation Congolaise, and Lusanga International Research Centre for Art and Economic Inequality.